I love a good old theater, one that was built with the full theatrical experience in mind, when craftsmanship mattered. I love it even more when modern day people acknowledge the importance of an old theater and take steps to preserve it. 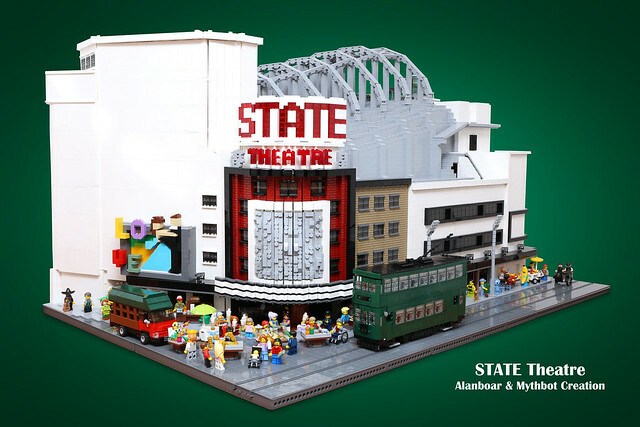 This is the State Theater in Hong Kong, built by Alanboar and his friend Mythbot. The model was built as part of the conservation efforts to save the classic theater. You can view many more pictures, including the fully decked out interior and read more about the project at Alanboar's website.